A few weeks ago, I gave you a behind the scenes view at the newest attraction to open at I Drive 360, Skeletons: Animals Unveiled! In just a few weeks, the museum has taken a life of it’s own and they are ready to open to the general public! I checked out the museum a few days ago and wanted to bring you some exclusive photos! If you don’t know what Skeletons is, Skeletons: Animals Unveiled! 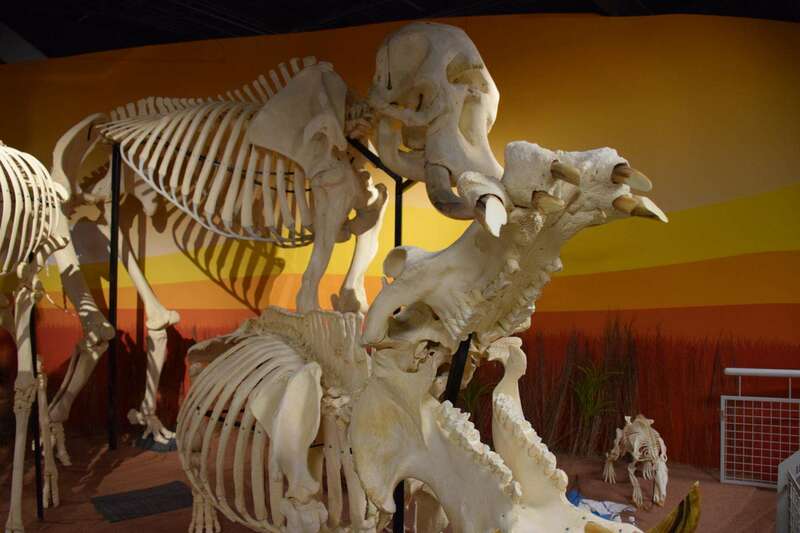 is a unique museum/attraction of osteology (the study of bones), located in the I-Drive 360 Complex. Kids and adults alike can examine the often-surprising anatomy of familiar and bizarre critters, being entertained, educated, and engaged. The last time I was here the museum was nothing but concrete and bones in different boxes, crates and pallets. Today, the museum is full of amazing displays that showcase these animals in natural poses, grouped with their like kind. 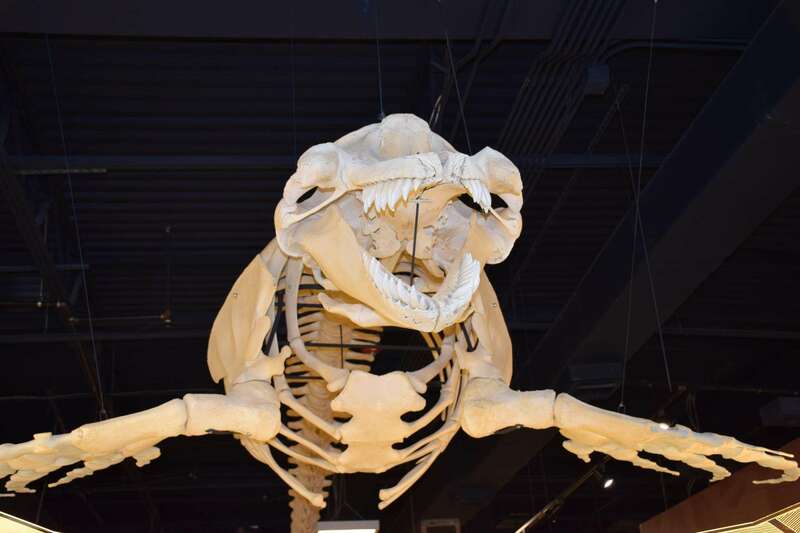 Some exhibits showcase different types of animals such as birds, hoofed animals, big cats and more. 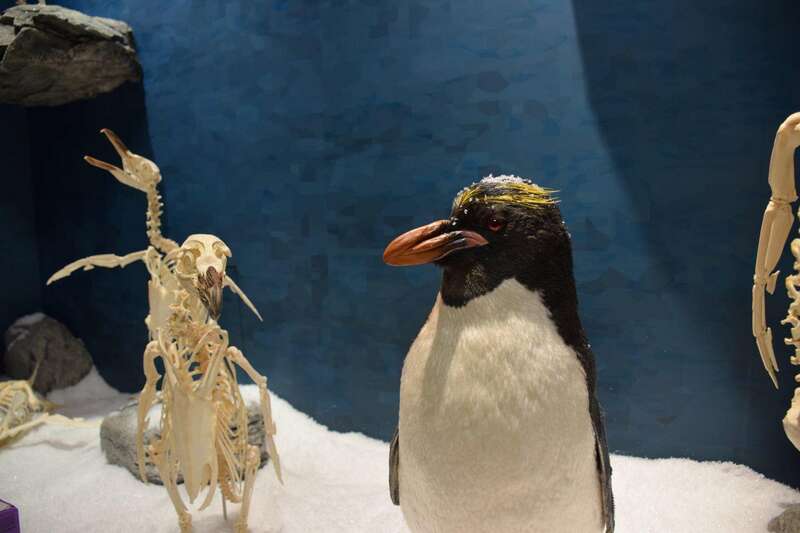 Some exhibits put taxidermy and skeletons side by side to show how the animals looks under the skin and flesh in the same pose. My favorite part of the exhibit is being able to watch the true workers of this museum do what they do best: EAT! 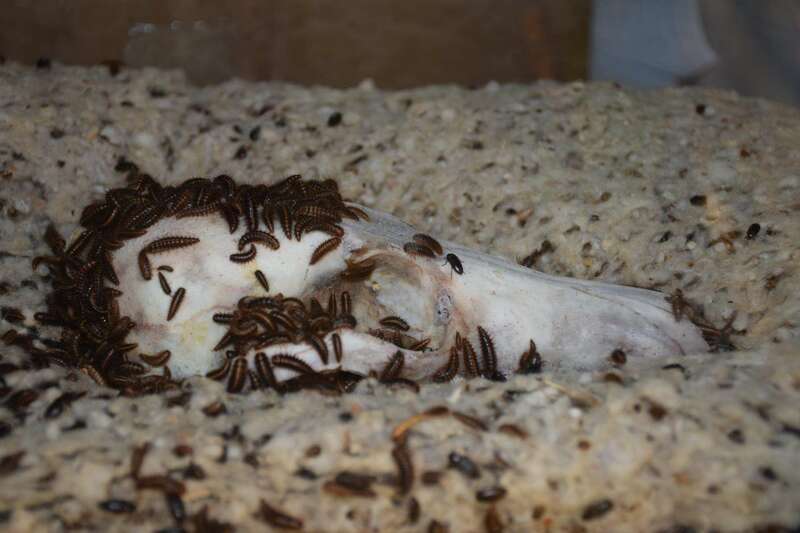 Thats right, Skeletons has a display of the flesh-eating beetles that pick the meat literally off the bones that they come in contact with. One small tank can hold up to 10 thousand beetles! I love how they showcase these beetles working each and every day at Skeletons! In case you are looking for a deal, Groupon is offering a great deal right now! Here is the deal, you can cheese between two different options. To get this amazing deal, click on the link located here! 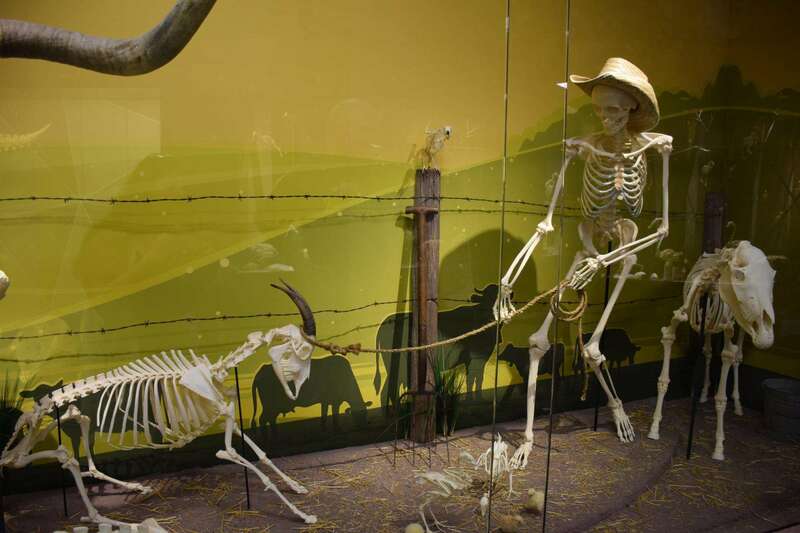 Now that the other attractions at I Drive 360 are open, will you stop by and check out Skeletons: Animals Unveiled? Comment below and let me know!